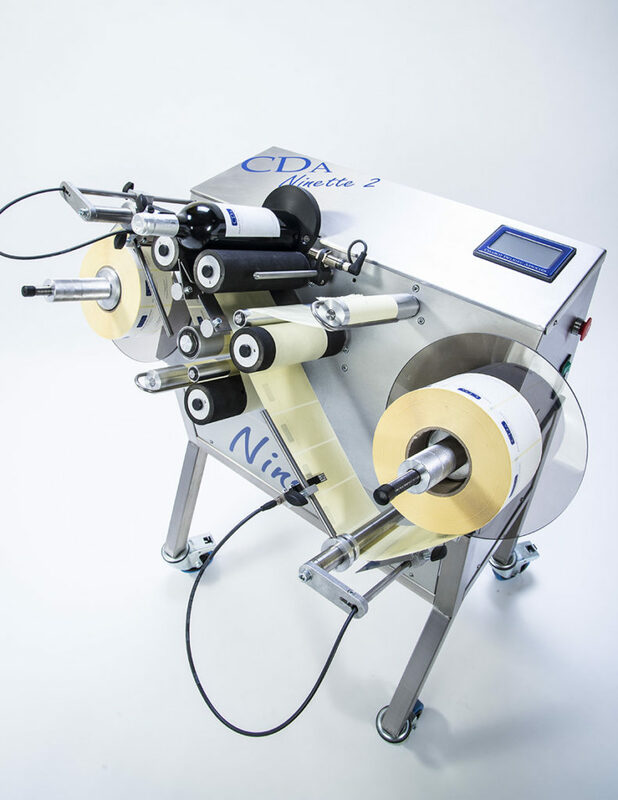 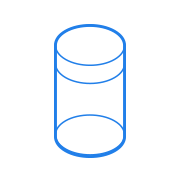 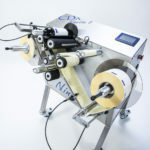 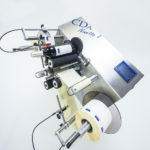 CDA’s Ninette 2 is a semi-automatic labeling machine that can be used to place 2 labels on cylindrical products in a single operation (bottles of wine, beer, tins, cans, pots, jars, etc.). 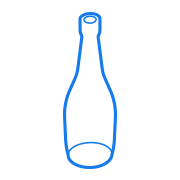 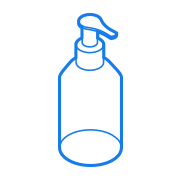 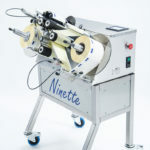 This very versatile semi-automatic labeling machine labels products of various formats, regardless of what they are made of (glass, PET or PVC) without any hardware change. 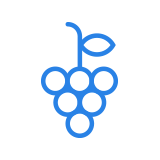 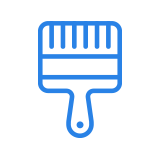 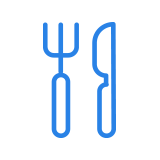 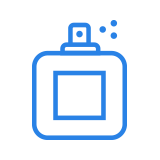 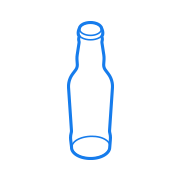 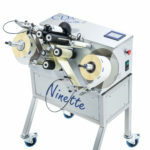 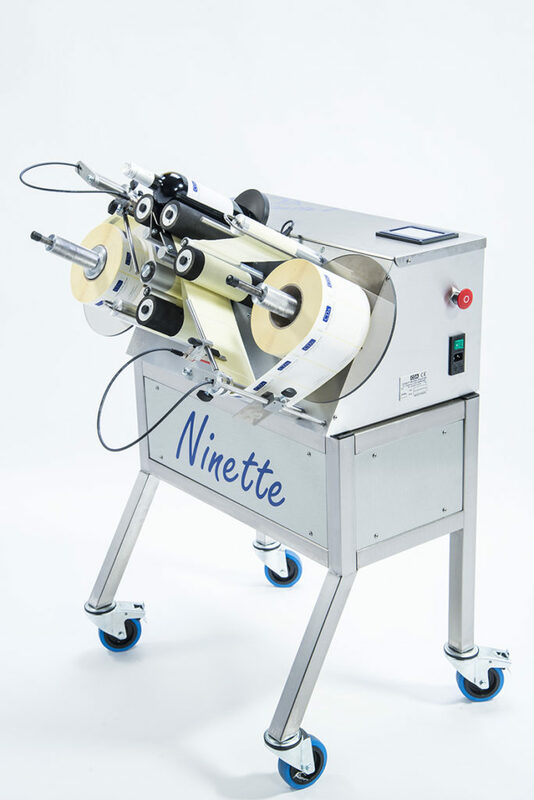 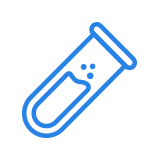 Ninette 2 is appreciated by small and medium-sized businesses looking for a labeling solution for their small-scale production runs. 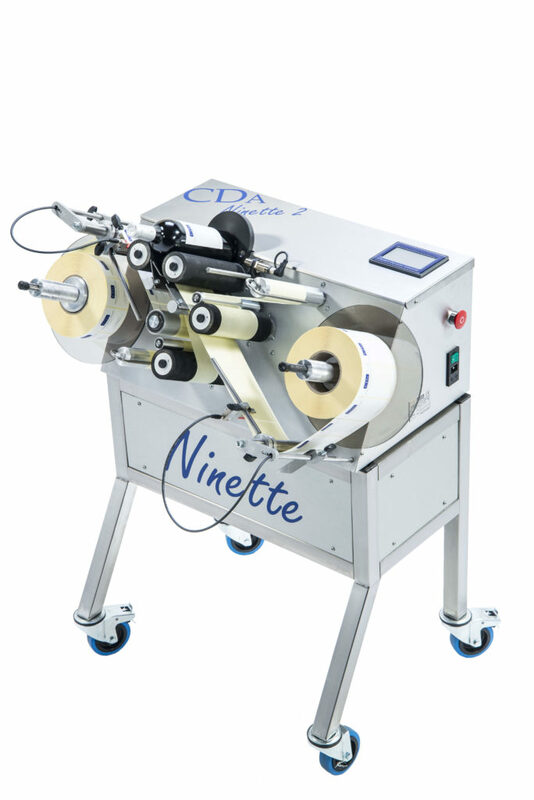 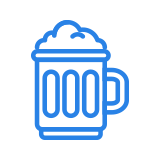 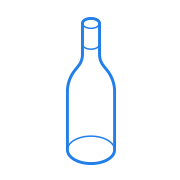 Ninette 2 is suitable for all industries (wine, beer, food processing, cosmetics, chemistry, etc.) 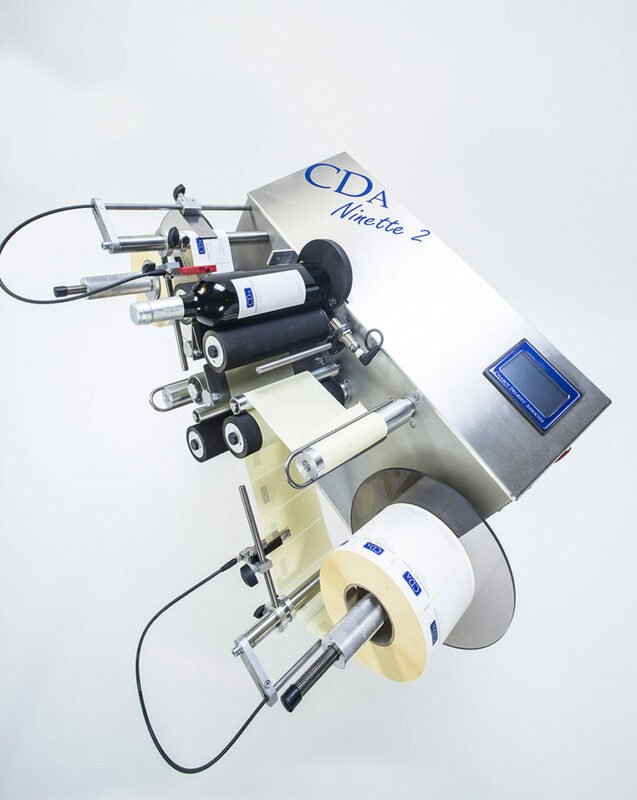 and is a complementary addition to CDA’s automatic and semi-automatic filling machines.